abuse while they were at the school. and therefore delay the case further. help speed up the process. 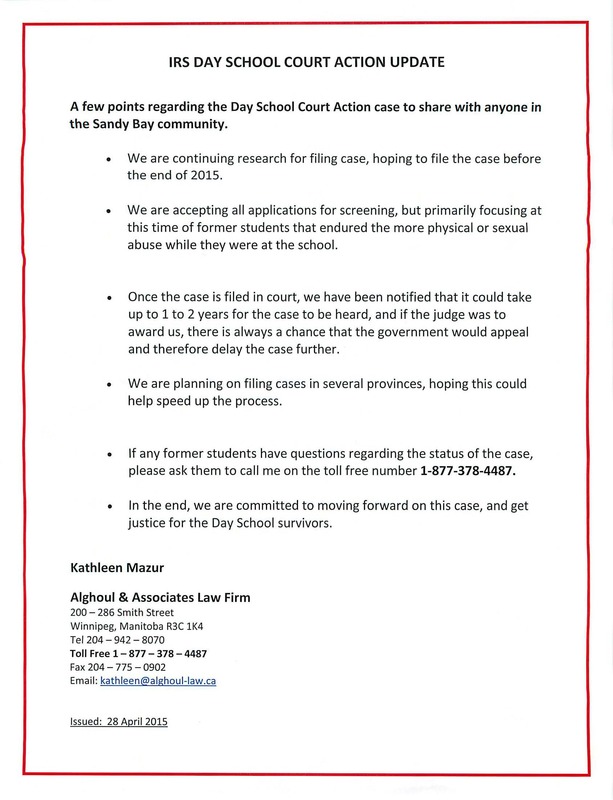 please ask them to call me on the toll free number 1-877-378-4487.
justice for the Day School survivors. The Tax letters issued do NOT include all 12 months. The proper letters will be issued at the end of November with the December issue. We cannot add 2 months to the following year for the months missed on the letters already released. We need ALL head of households to attend the IA Office(social services office/ income assistance office/ welfare office) before October 20th to review and verify their tenant profiles Some will be addressed at release the 29th and 30th but not all. We need this done as with the profiles incorrect hydro prorated amounts are not accurate. 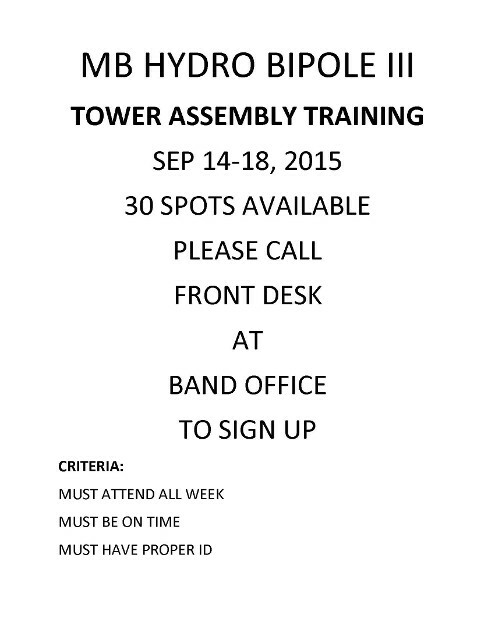 Utility Worker applicants wanted for a new Trainee opportunity. Bipole III is a new high voltage direct current (HVDC) transmission project required to improve overall system reliability and dependability. The project includes HVDC transmission line, energy conversion facilities, and system connections. Manitoba Hydro is seeking up to 5 indegenous candidates to be a part of a training program for transmission line construction and maintenance inspection from Oct. 2016 to Sept 2017. 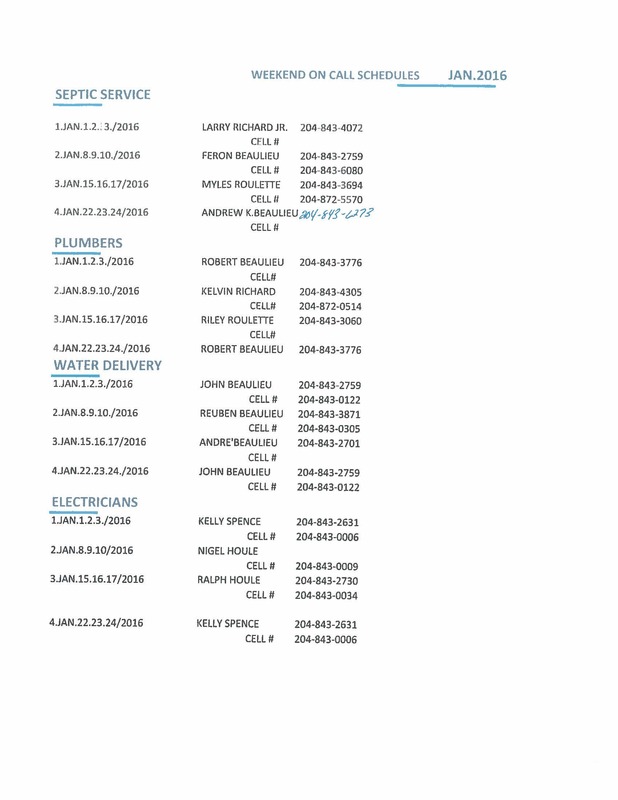 To all Income Assistance recipients, the following dates have been scheduled for Income Assistance release dates. Please do not request earlier release dates. -Release dates are to be scheduled for the 27th or 28th of each month unless if these dates fall on a Saturday/Sunday. -August is set for the 25th as Offices are closed for Treaty Day on August 26th and the 27th & 28th fall on a weekend. -March is set for the 30th because of the re-application of all IA recipients to sign and bring in documentation. -All doctor notes and special meals forms must be brought in during the month of March. Feb. 17/2016 - University of Winnipeg @ Eagle Urban Transition Centre - 275 Portage Ave. 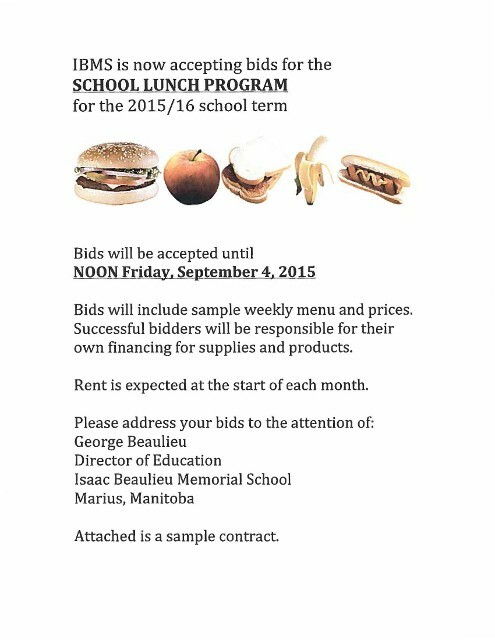 Bids will include sample weekly menu and prices. own financing for supplies and products. Rent is expected at the start of each month. 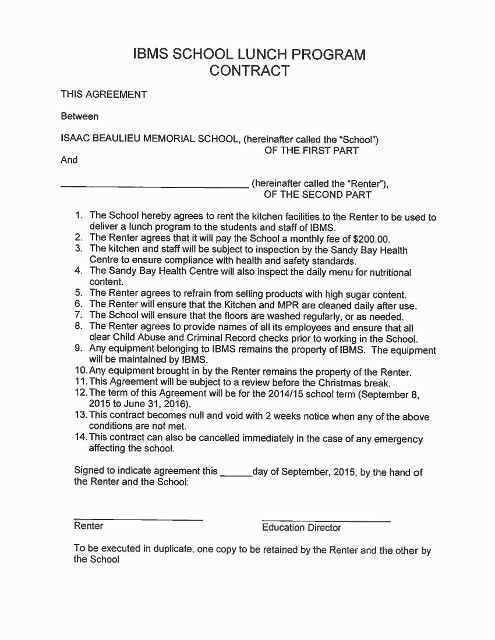 Attached is a sample contract. 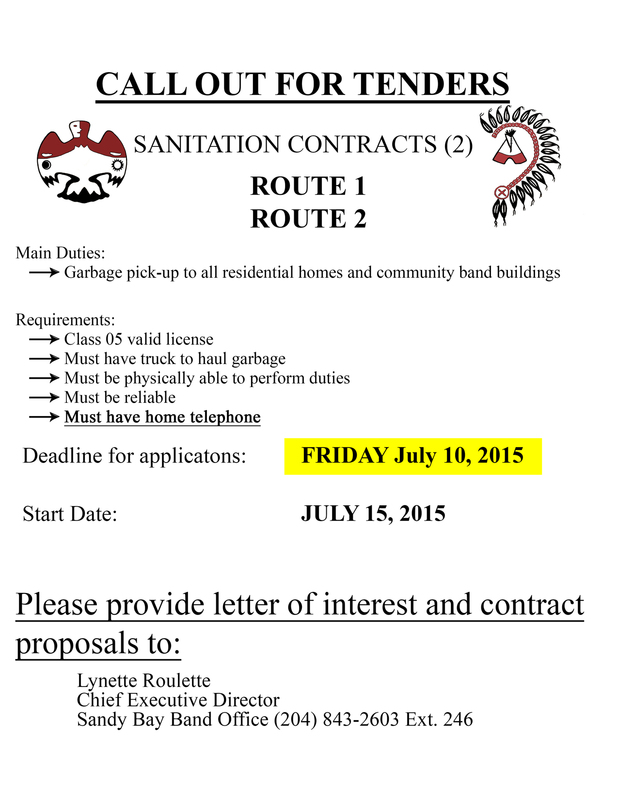 CALL OUT FOR TENDERS: Sanitation Contracts (2) Route 1, Route 2. 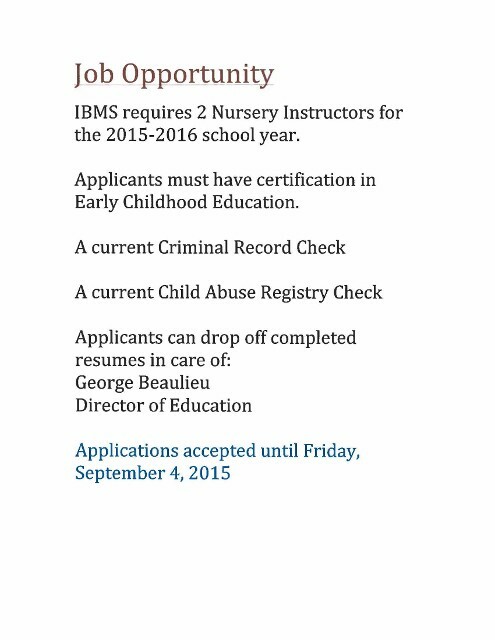 Deadline for applications Friday July 10, 2015. 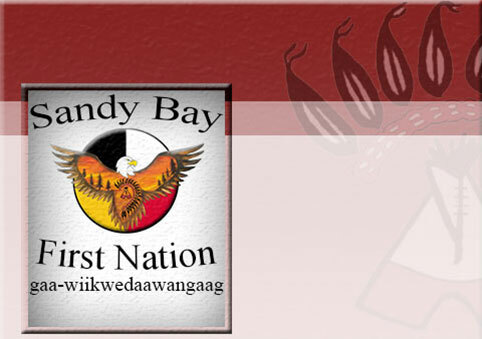 The Sandy Bay Band Office will be closed from Dec 22,2014 to Jan 5, 2015. MANAGERS/ASSISTANTS / SUPERVISIRS PLEASE ENSURE THAT YOU COLLECT ALL TIME SHEETS FROM YOUR STAFF AND SUBMIT THEM ON DECEMBER 30, 2014 BEFORE NOON. ALL EMPLOYEES, PLEASE HAVE YOUR TIME SHEETS COMPLETED ALONG WITH YOUR LOG BOOKS AND SUBMIT THEM TO YOUR SUPERVISORS/MANAGERS/ASSISTANTS. WE WILL BE INPUTTING TIME SHEETS ON THAT DAY. SCHEDULE WILL BE BACK TO NORMAL AFTER THE CHRISTMAS BREAK.